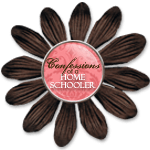 One of the many great things about homeschooling is that you can structure you school year in the way that best suits your family. What we have chosen to do as a family is to begin our new school year with the new year. 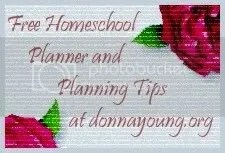 January 7 will begin our 7th year of homeschooling. It is impossible to believe that we have been schooling our children at home for 7 years. This coming year I will officially have 5 children in school. One of my academic goals is to do better at documenting what we do. 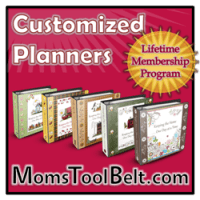 I have tried fancy software and printed planners and none seemed to meet our needs exactly or were just too time consuming to keep up with. For 2013 I hope I have come up with a solution that will work for us. My goal is two fold: document the work we have done and create more independence in my older students. I love art, just about every kind of art. I love that you can be creative, and messy and simple and very complicated. But I am not an artist. I struggle with coming up with original ideas, and although I have educated myself on the various techniques and mediums I can not demonstrate most of them to my children. So I am so excited about finding an art curriculum that is easy to incorporate into our school week, does not cost very much, is biblically based and has amazing teachers. Now the kids and I can learn together. It has become the favorite subject–we can’t wait for art lesson. Check out this fantastic curriculum. You can try out the first three lessons for free. If you go to their Facebook or Twitter pages during the month of October they will be giving away 10 copies of their Christmas DVD, “The Gift of Love”. These are perfect Christmas gifts. 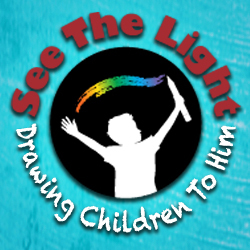 Keep checking back to the SEE the Light website because they are adding special FREE stuff all the time. The downloads under FUN STUFF are particularly special. Here are several that are not even available on Facebook or Twitter. So don’t forget to make art an important part of your child’s education. We believe in and like this product so much that we are affiliates of See the Light. So if you purchase this product through the links in this post we will receive a small commission. I was looking for some inspiration for my little pianists. When you are starting out an instrument it is hard to see how these boring scales, etc. will ever make a difference in your playing. One some we have learned is twinkle twinkle little star. I found this amazing rendition that has inspired my children to keep at it. Check out The Piano Guys for yourself. So I encourage you to dust off your instruments, sit at the piano or pick up music if you have never done it before. It is never too late or early to start. At age 7 is when we official start lessons with our kids but we have found that the younger ones have picked up music so much more quickly because of being exposed to it by older siblings. We are making music a higher priority in our home this year. So far we have piano (a requirement for all), guitars (encouraged for all), 2 trombones, 1 trumpet, 1 flute, and 1 saxophone. A great plus to having watched these videos yesterday is that Sam has dusted off our cameras and has started to video everything and everyone in sight. He was very impressed with the cinematography of the Piano Guys. It is amazing what kids will pick up and when you give them freedom to explore you never know what they will come up with. I have shared before how I really appreciate the Preschool Palace curriculum. It gives me ready made activities to fill my 2 and 3 year olds workboxes as well as offer a wealth of information and resources. Check out their Cycle 2 new school year curriculum. www.preschoolpalace.org/Documents/Monthly curriculum/Month 1 – September 2011 Curriculum – Cycle 2.pdf. I am so happy to introduce our new home business, Thirty-One. I am so excited about this new opportunity and I am sure you will love the products as much as I do. 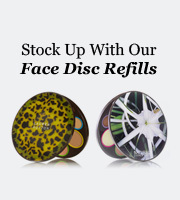 Click here to view our wonderful catalog. And if you are like me you will want one of each. And just in time for back to school Thirty-One is offering 15% off of everything in the catalog. 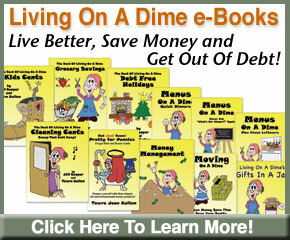 So visit my webstore and check out the wonderful organizational products for your home and school. Or email me at theshelteringtreestore@gmail.com to book your party today. Click here to visit Graham Family Ministries. Where in the USA are the Dodges? Some posts on this blog contain affiliate links. I receive a small commission whenever a product is purchased through these links. Occasionally I receive products in exchange for a review or giveaway post. However, all opinions expressed on The Sheltering Tree are solely my own, and I only suggest products or services that I believe will be helpful to my readers.